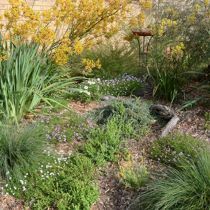 This is the fifth garden created by this supremely knowledgeable and talented gardener. 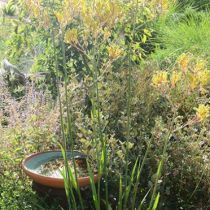 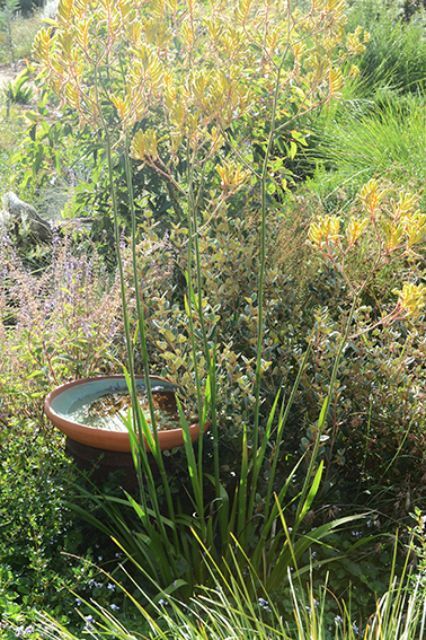 Only three years old, it has already superbly grown and is full of healthy plants. 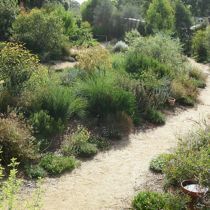 While it is a collector’s garden, it has great coherence and a wonderful sense of place in its environment. 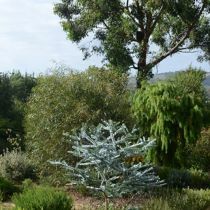 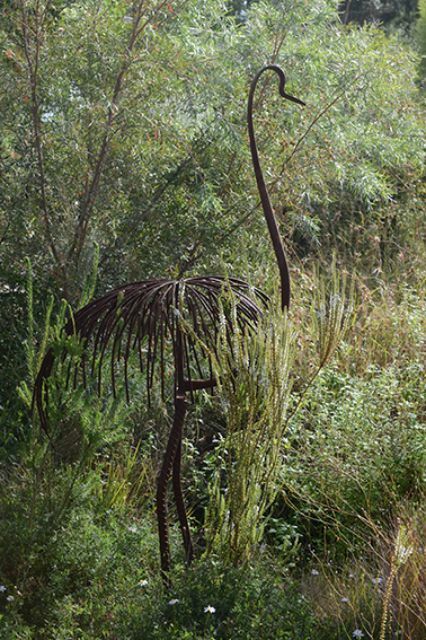 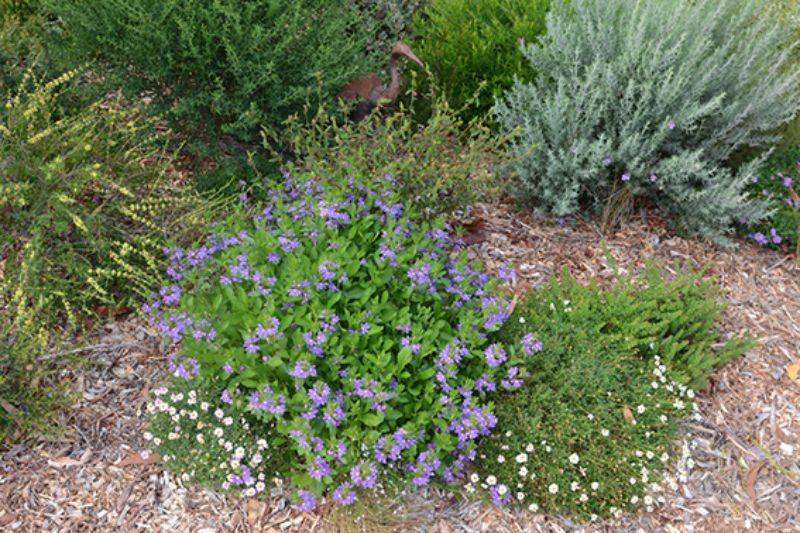 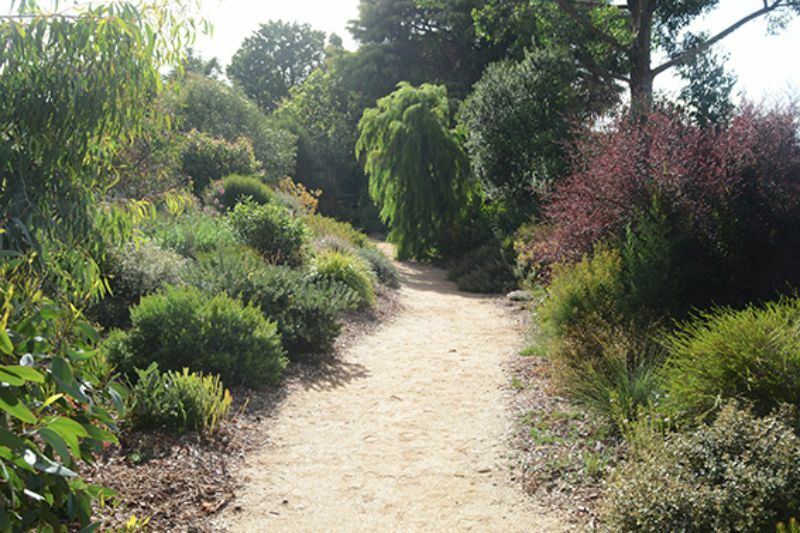 Shirley’s deep love and understanding of what Australian plants from all parts of the country need to flourish, means that the garden is a true showcase – full of colour, shape and texture. 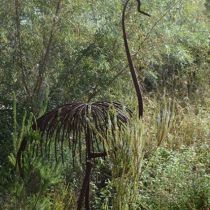 Amongst the shrubs and groundcovers of the garden are waterbowls and enchanting pieces of intricate sculptures of animals. 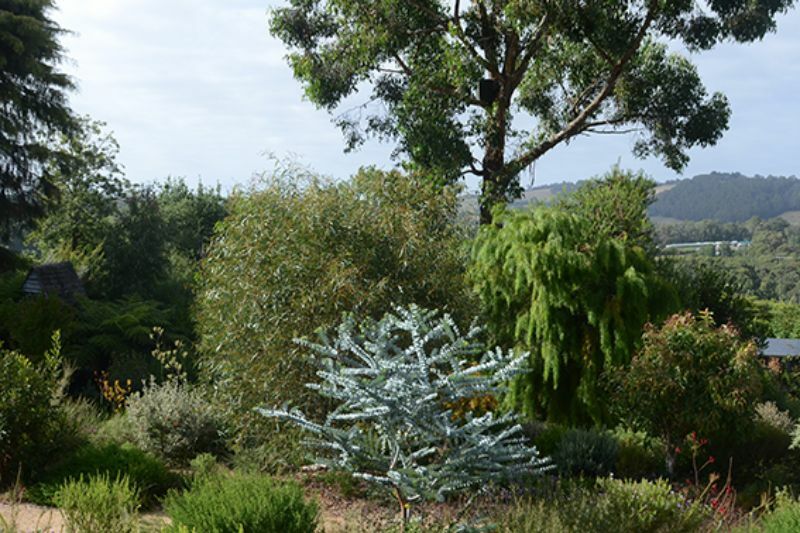 There is a beautiful borrowed landscape to the hills in the distance. 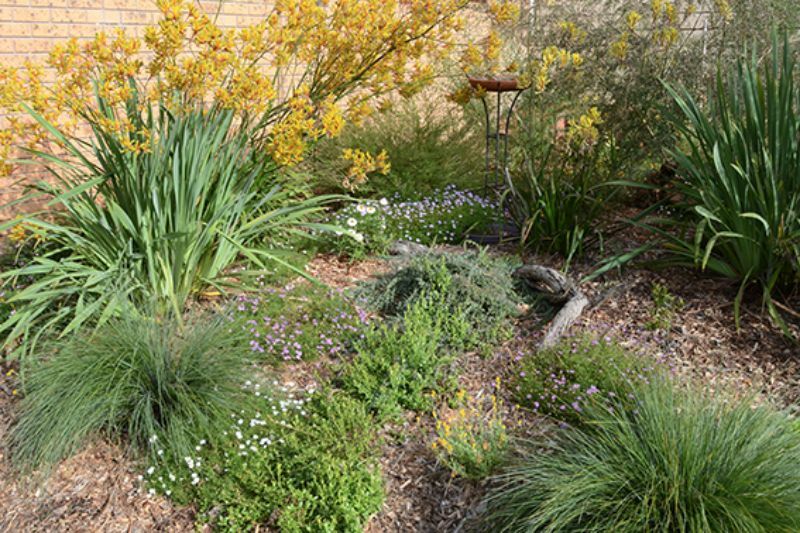 Shirley loves ‘doing corners well’ in the garden – something that is part of her design creativity. 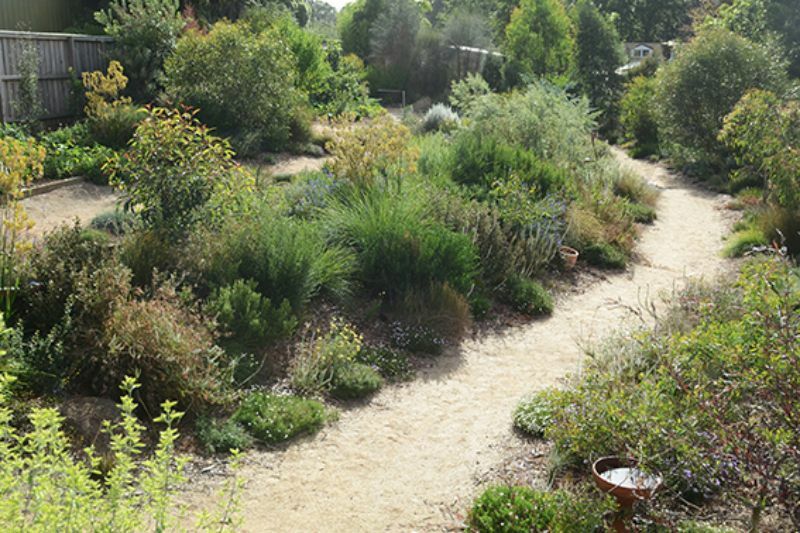 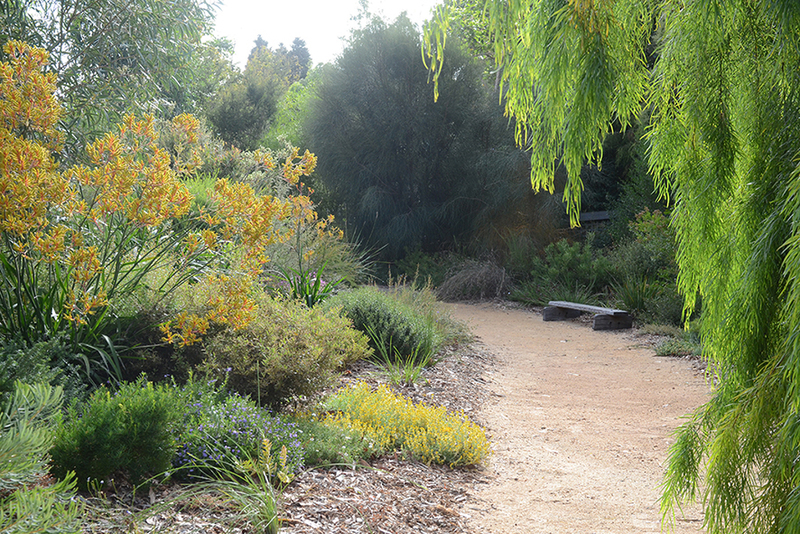 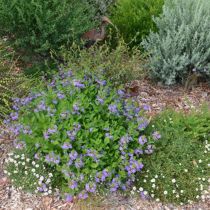 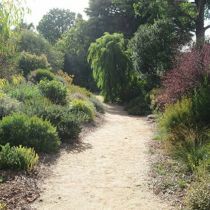 She feels that this is a ‘gentle’ garden: one loved by children who visit, and hopes that it will inspire gardeners of all types to embrace growing more native plants.